Hello, all you tabletop, roleplay and board gamers out there! We are a team of tabletop enthusiasts from Germany. We started creating and building our own building kits for our fantasy games a few years ago and now we want to share them with you! 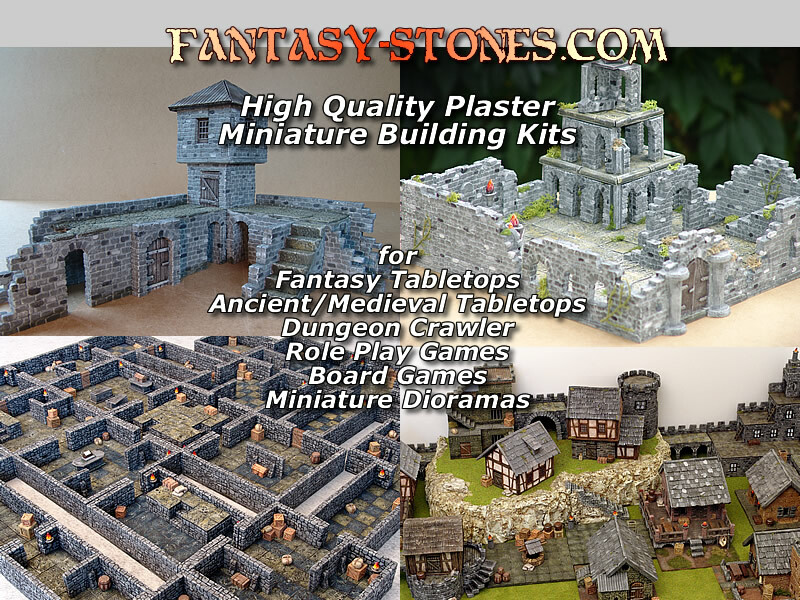 With our wide range of high quality plaster blocks and building kits you can build almost everything you need for your tabletop, roleplay or any other miniature board game. You can purchase our products to build whatever you need for your game. 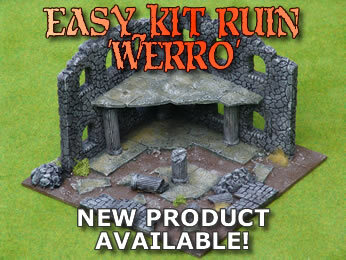 All of our kits are coming with a detailed tutorial and are easy to assemble and paint. 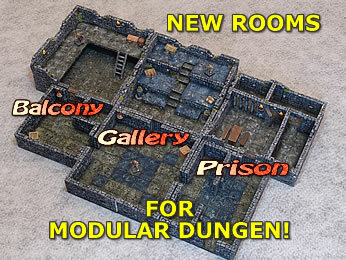 You can build single walls, houses, towers, dungeon rooms, combat arenas or ruins or you can boost your adventure and build entire towns, impressive fortifications, huge ruin towns, or endless dungeons. It's up to you! All of our products are compatible to each other, so you can easily combine all the kits and bundle of blocks. 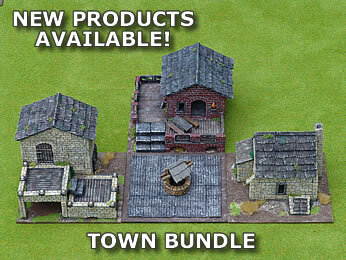 Our blocks, tiles and building kits are optimized for 28 and 30 mm miniatures. 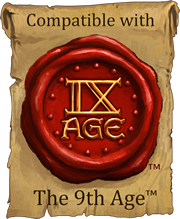 They are perfect for games like Warhammer, Saga, Mortheim, The 9th Age, The Dark Eye, Pathfinder, D&D, HeroQuest, Descent, Dungeon Saga and all other similar miniature, roleplay or dungeon games. All of our products, blocks, molds, building kits, are originally designed and done by hand by us. All products are casted with high quality plaster and are easy to assemble and paint.